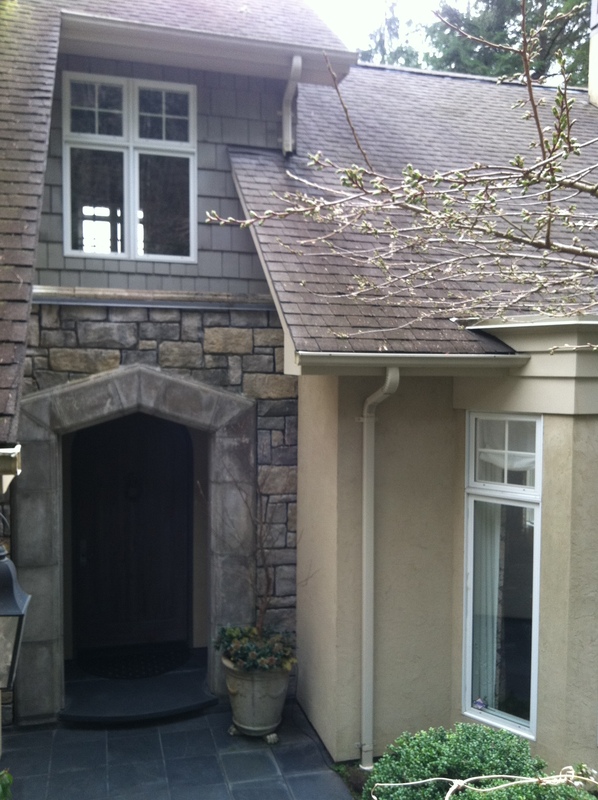 We warranty every new gutter system against leaks and workmanship issues. Dura Coat XT-10 with Teflon surface protector, which enables improved appearance and durability! heavy duty hidden hangers and are seamless from corner to corner (or end to end)! 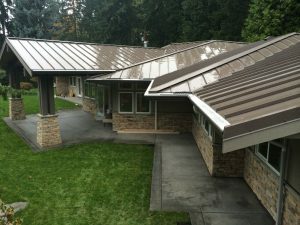 5” K-style seamless gutters in Aluminum, Copper, steel, or Zincalume Plus. 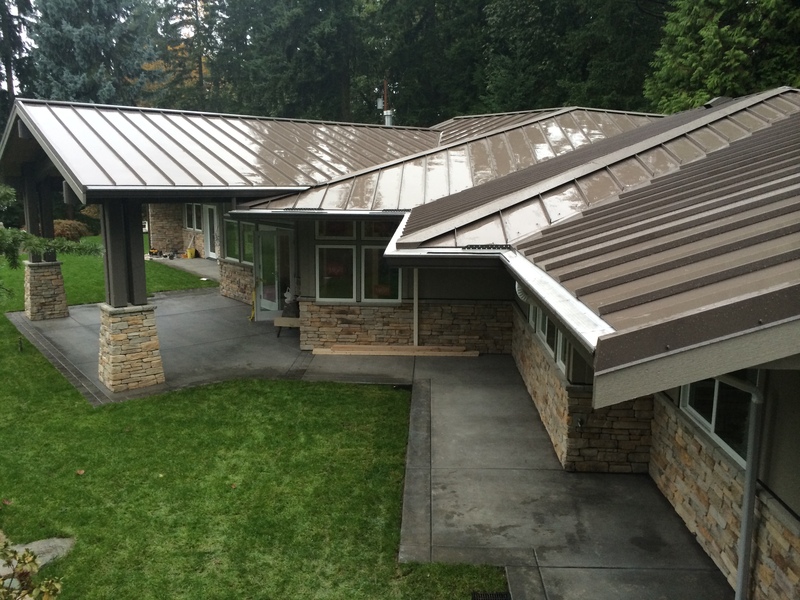 6” K-style seamless gutters in Aluminum, Copper, steel, or Zincalume Plus. 5” and 6” Half-round gutters in Aluminum, Copper, steel, or Zincalume Plus. 6” Narrow Bottom Fascia Style gutter (3 face profile options) in Aluminum, steel or Zincalume Plus. 6” Wide Bottom Fascia Style gutter (3 face profile options) in Aluminum, steel, or Zincalume Plus. 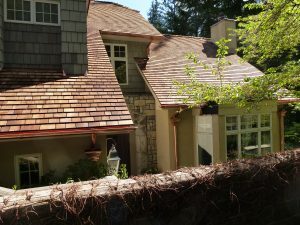 Downspouts options: 2×3”, 3×4”, 2” round, 3” round, copper, Zincalume Plus, and more. Eurostyle Copper, Rheinzink, and special order options are available. We have over 30 colors to choose from. Over 30 colors to choose from! 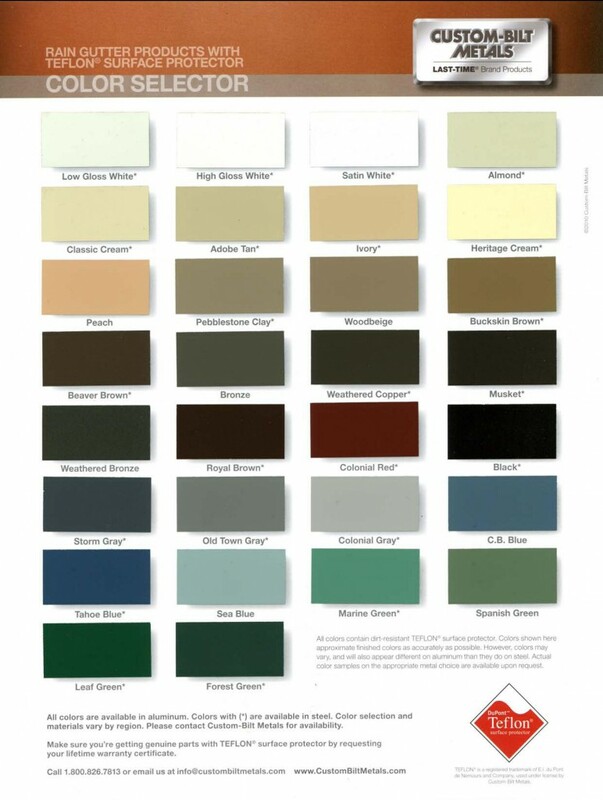 Customers usually choose colors to match their home’s trim.